This Radiant diamond is 1.01 carat in weight, and comes with Very Good polish and Very Good symmetry, as verified from an independent gemological laboratory. The diamond is graded H in colour, and has a clarity grade of SI2. The diamond's GIA grading report number is 7312179052, which will detail further its specifications and measurements, and will also come with the purchase of the stone. AUD 23,046 Excl. Duties / Taxes. This Radiant diamond is 3.06 carat in weight, and comes with Very Good polish and Good symmetry, as verified from an independent gemological laboratory. The diamond is graded K in colour, and has a clarity grade of VS2. The diamond's GIA grading report number is 2141964187, which will detail further its specifications and measurements, and will also come with the purchase of the stone. AUD 10,944 Excl. Duties / Taxes. This Square Radiant diamond is 2.04 carat in weight, and comes with Excellent polish and Very Good symmetry, as verified from an independent gemological laboratory. 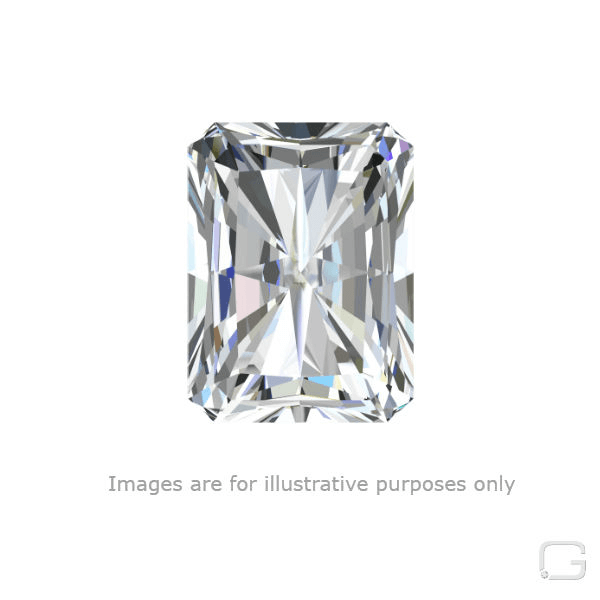 The diamond is graded K in colour, and has a clarity grade of VS2. The diamond's GIA grading report number is 2195668050, which will detail further its specifications and measurements, and will also come with the purchase of the stone. This Radiant diamond is 0.9 carat in weight, and comes with Very Good polish and Good symmetry, as verified from an independent gemological laboratory. The diamond is graded E in colour, and has a clarity grade of VS2. The diamond's GIA grading report number is 15227752, which will detail further its specifications and measurements, and will also come with the purchase of the stone. AUD 7,614 Excl. Duties / Taxes. This Radiant diamond is 1.3 carat in weight, and comes with Excellent polish and Very Good symmetry, as verified from an independent gemological laboratory. The diamond is graded H in colour, and has a clarity grade of SI2. The diamond's GIA grading report number is 5201168284, which will detail further its specifications and measurements, and will also come with the purchase of the stone. AUD 15,462 Excl. Duties / Taxes. This Radiant diamond is 1.75 carat in weight, and comes with Excellent polish and Very Good symmetry, as verified from an independent gemological laboratory. The diamond is graded H in colour, and has a clarity grade of VS1. The diamond's GIA grading report number is 1182905583, which will detail further its specifications and measurements, and will also come with the purchase of the stone. AUD 17,605 Excl. Duties / Taxes. This Radiant diamond is 1.64 carat in weight, and comes with Very Good polish and Good symmetry, as verified from an independent gemological laboratory. The diamond is graded H in colour, and has a clarity grade of VS1. The diamond's GIA grading report number is 2157109023, which will detail further its specifications and measurements, and will also come with the purchase of the stone.